Yesterday Nate Silver handicapped next year's gubernatorial contests, and Tom Corbett came in as fifth most vulnerable. All well and good, but my current interest is the Pennsylvania race, mostly because I live here, and enough is enough. I'm not the only person who feels that way: I can't find anyone who thinks Corbett is doing anything other than a horrible job. When you look at gubernatorial races, "most people" don't have an opinion. They might know who the governor is, and where he/she lives (that capital thing again, sorry) — but it's not generally a race that people know much about until a month or two out. Not here. Not this time. Everyone knows about Jerry Sandusky. People living under rocks know about Jerry Sandusky. And the overwhelming majority of them know that Tom Corbett was the AG when charges were raised, that he didn't prosecute for 3 years, and that he got $640,000 from Jerry's charity for his first gubernatorial run. Some of those people living under rocks are living under rocks and not indoors because of the massive cuts that Tom Corbett personally fought for: to rescind monetary aid to the poor and disabled, to decrease education funds; to deny a Pennsylvania health insurance exchange; to illegally sell off the PA lottery to a British company; and to privatize liquor sales, throwing thousands out of work and handing the liquor licenses to Wal-Mart. And who can forget his line to pregnant women about to get a vaginal probe they don't need? "Just close your eyes." Yes, we know him. Nate Silver might say that due to polling data and whatever else he puts in his secret sauce, there are 4 more vulnerable governors for 2014. But the animose to Tom is personal. So who's running? The list is pulled from Wikipedia, and is in alphabetical order. I've added my comments. 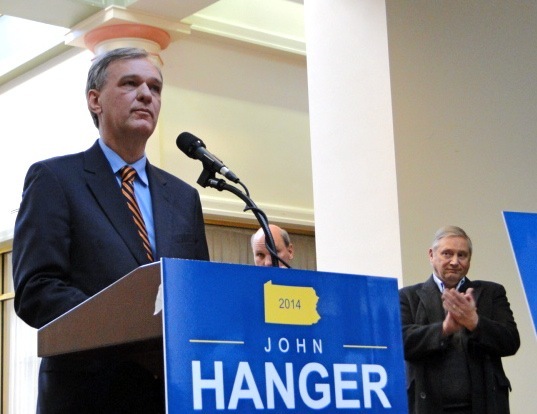 John Hanger, former Secretary of the Pennsylvania Department of Environmental Protection. John invited Max to a debate and has already sent out oppo research on Max. Really. 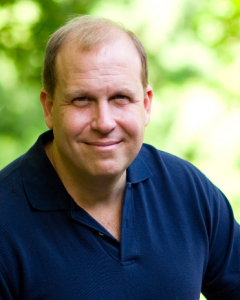 Max Myers, businessman and former pastor. This is from John's research on Max. If true, Max is no Democrat. Allyson Schwartz, U.S. Representative. Yes, she's in. She's INCREDIBLY popular with progressive Democrats in SE PA. She could win the primary, but there is virtually no chance she can win the general, and I hope she drops out before she loses her Congressional seat. Tom Wolf, businessman and former Secretary of the Pennsylvania Department of Revenue. I see his name and think "Albert Greene" — Tom Wolfe was a great author. 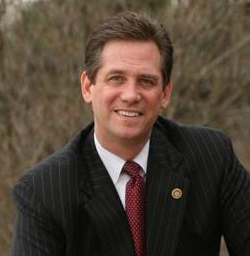 H. Scott Conklin, State Representative and nominee for Lieutenant Governor of Pennsylvania in 2010. Won't run. Robert McCord, state Treasurer. If Rob runs, he is the top of the top tier. Well funded, well backed, a great organization, and would have the support of a lot of the business community. Kathleen McGinty, former Secretary of the Pennsylvania Department of Environmental Protection, former Chair of the Council on Environmental Quality. Katie is a go-getter, and while you've never heard her name, she's aligned with Al Gore and Bill Clinton. She's got an exploratory committee, and if she runs, she'll bring a lot of heavy hitters to the state, probably a lot of the people Terry McAuliffe is using this year, and there will be a huge discussion of fracking and why we don't charge companies to frack as they do everywhere else, even in Texas. A top tier candidate. Michael Nutter, Mayor of Philadelphia. Love Mike. He can't win. Dan Onorato, former Allegheny County Chief Executive and nominee for Governor in 2010. He lost in 2010 not only because it was a Republican sweep year, but because he's a western PA Dem — meaning he's a blue dog. His positions on abortion, gay rights and women will hurt him if he tries to run again. Ed Pawlowski, Mayor of Allentown — he's going to run, but he lacks backing and name recognition outside of Northeast PA.
Joe Sestak, former U.S. Representative and nominee for the U.S. Senate in 2010. We all love Joe. Many of us had hoped that he'd run for his old seat last year. He hemmed and hawed and kept saying "maybe" for so long that he basically handed PA CD 7 to Pat Meehan. If he's going to run, he needs to announce this spring. Josh Shapiro, Chairman of the Montgomery County Board of Commissioners. Might run, but I really hope that he doesn't. Josh is a great guy who's been the head of the Montco Board for a little over a year: first Democratic running of that county in 140 years. He's doing a great job, and should serve out his term there. He's young and has a future, and shouldn't waste political capital here. Tim Solobay, State Senator — won't run. Michael J. Stack III, State Senator — won't run. Jack Wagner, former Pennsylvania Auditor General — might run, but has a lot less name recognition than some other Democrats, and a weak base. Bruce Castor, Montgomery County Commissioner. If Tom doesn't run, Bruce will be the candidate. There's a good chance that Bruce can beat Tom in a Republican primary. 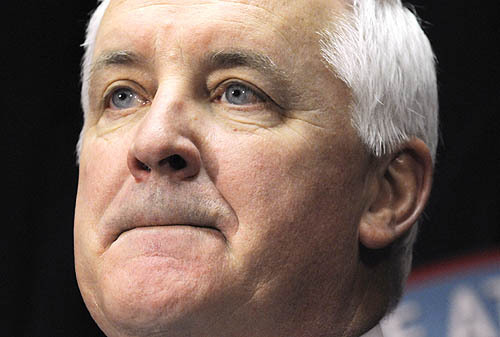 Tom Corbett, incumbent Governor — yes it's true — he hasn't announced! Jake Corman, State Senator — won't run. Dominic Pileggi, Majority Leader of the Pennsylvania State Senate — might run, but won't run for long once people remember the legal problems. Mike Turzai, Majority Leader of the Pennsylvania House of Representatives — might run, but won't run for long once people remember the legal problems. Scott Wagner, businessman — No relation to Jack Wagner — won't run, and if he does, it won't last. Let's sum up. Allyson Schwartz announced yesterday, and she is "the name" in the race so far. She's the only one of the declared candidates with any name recognition. John and Max are going to fight it out in their own little universe and will burn one another out. Tom may peak, but he doesn't have staying power. Allyson has a lot going against her. She is über liberal, which is great in her Congressional district, but is not going to play statewide. She's a Jewish woman, which is also not going to play. She was a supporter of Hillary Clinton in 2008, but it's unlikely she'll be able to make enough use of the remaining Clintonistas in the state: it's more likely they'll migrate to McGinty. Rob McCord is the man to beat on the Democratic side, IF he runs. The smart money says that he'll only run if he calculates that he has a high win percentage. I don't expect we'll hear from him on that issue for a few months. And then there's Katie McGinty. I am surprisingly impressed with her on a number of levels. She's smart, and both her bio and her work are compelling. But it's more than that. There's a political trait that's rare, and something one is either born with or not, and she's got it. It's the ability to meet a person and remember them. She came to speak to our local Democratic group last week, and when she walked in, I went to greet her, and she looked at me and said "I know you…" she paused and said "I saw you registering voters at the mall." Seriously — that would have been last year, or possibly in years past. Trust me, I'm not that memorable. But she has the eye. When she spoke, she talked about her work at the state and Federal levels. She has moxie and confidence, and seriously good politics. Evaluating her public presence vs Allyson's presence the last time I spoke with her at a public event, it strikes me that there's no contest. A few notes on Bruce Castor. He was a decent District Attorney, and the office ran well under him. As I said, if Tom declines to run, Castor will easily claim the Republican nomination. He's a street fighter, and if Tom runs, it's important to remember that there's bad personal blood between the two men going back to the 2004 AG race, which was the first time the two competed head-to-head. So that's the initial frame, folks. It could be a bloodbath, but it will be fascinating to watch.